Named after Italian racer Tazio Nuvolari, the special edition features a Daytona Grey exterior and 19-inch alloy wheels. 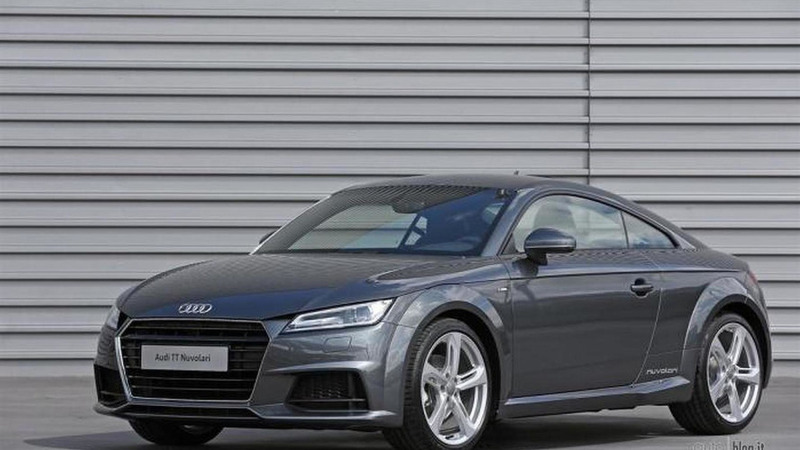 Audi has announced the 2015 TT will be priced from £29,770 (OTR) in the United Kingdom. 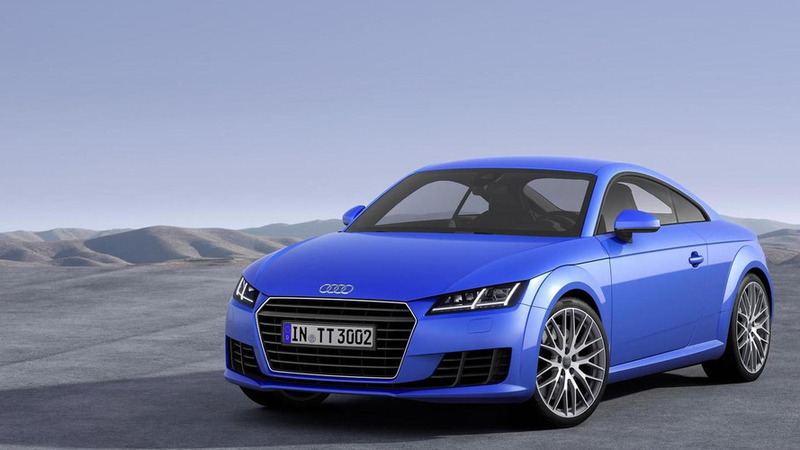 Audi has released German pricing information for the 2015 TT and TT S.
Audi has released a new teaser image of the 2015 TT. It will be unveiled next week at the Geneva Motor Show. 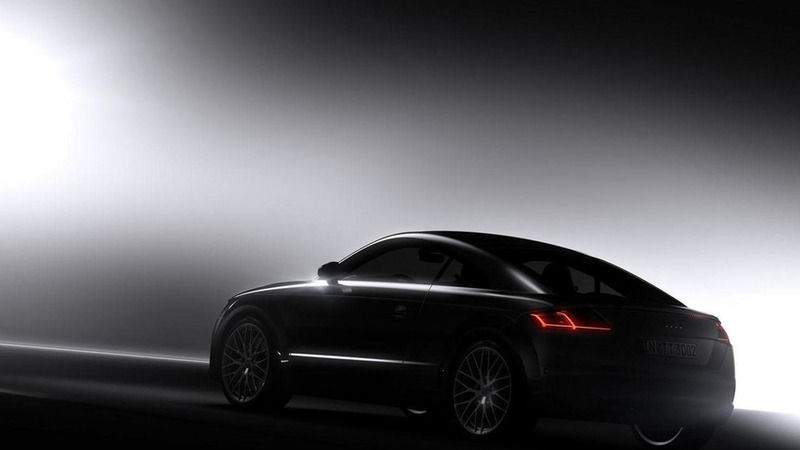 Audi has released a preview clip of the highly anticipated third generation TT set to be unveiled next week in Geneva. 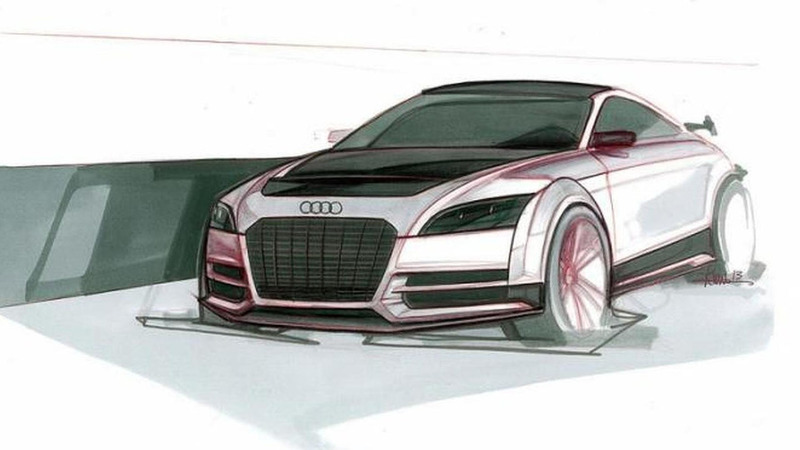 Audi has released a couple of design sketches previewing the third generation of the TT set to be unveiled in a couple of weeks at the Geneva Motor Show. 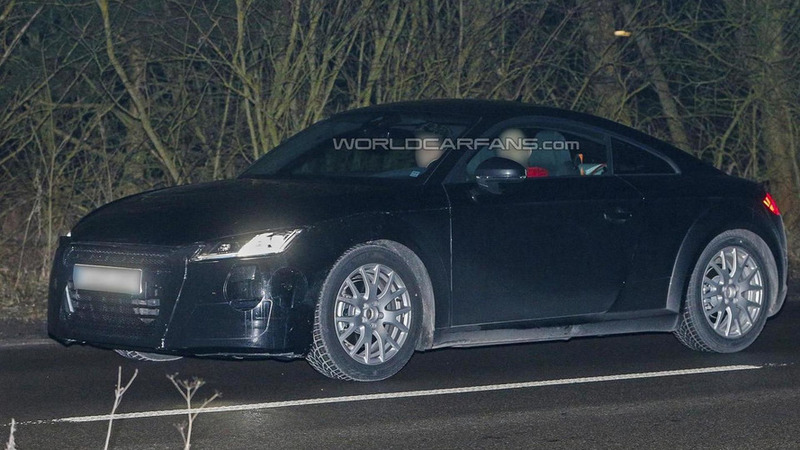 Our agile spies managed to take a few photos in the dark with a barely disguised 2015 Audi TT while conducting final testing somewhere in Germany. 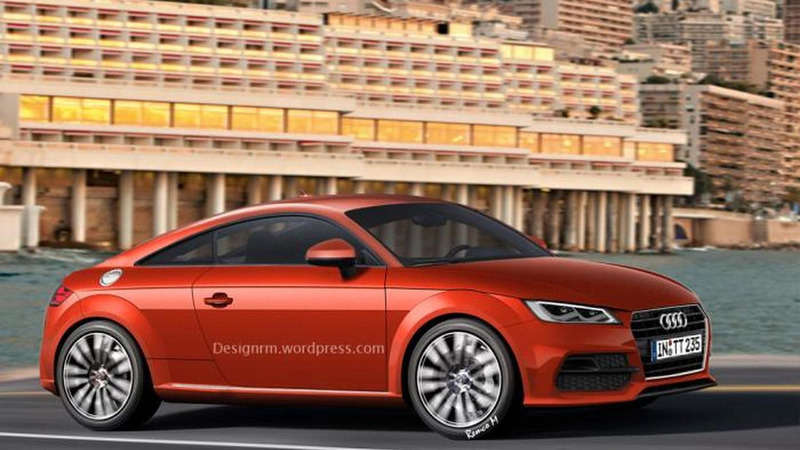 Audi recently previewed the 2015 TT with the allroad shooting brake concept, so Remco Meulendijk has created some rendering of what the production model could look like. 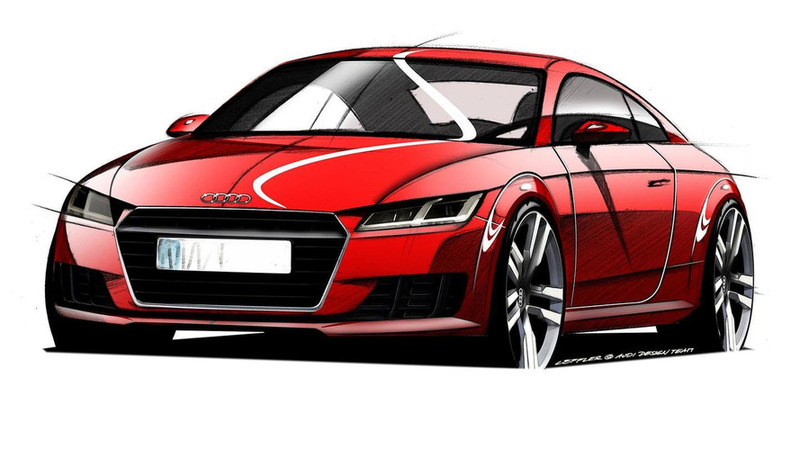 Audi technical boss Ulrich Hackenberg has announced the third generation of the TT will be unveiled in March at the 2014 Geneva Motor Show. 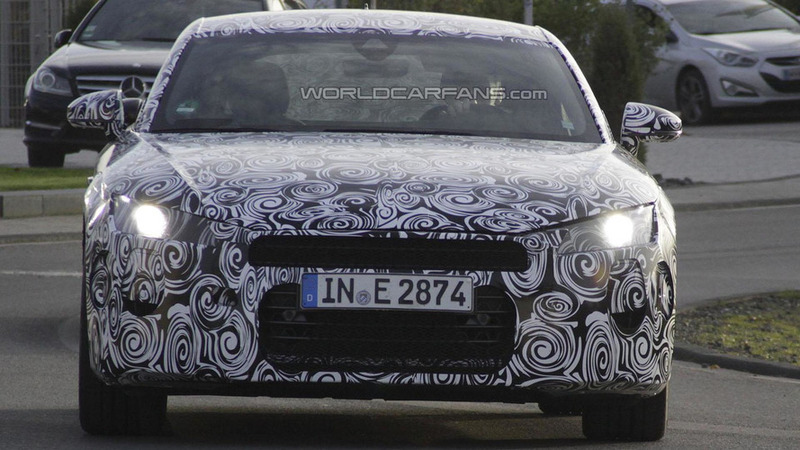 Following a preview earlier today, Audi has officially unveiled the interior of the 2015 TT. 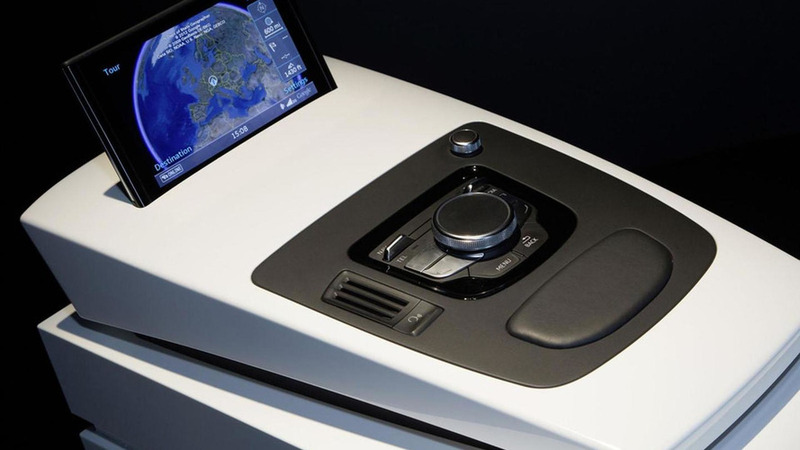 Audi has announced the 2015 TT will be equipped with a "virtual cockpit" that is described as a "decidedly sporty version" of the MMI infotainment system. Audi has disclosed plans of investing 22 billion EUR through 2018 on their quest to hit two million sales per year. It was spied undergoing an early round of high speed testing and here is a first chance to see and hear it in action. 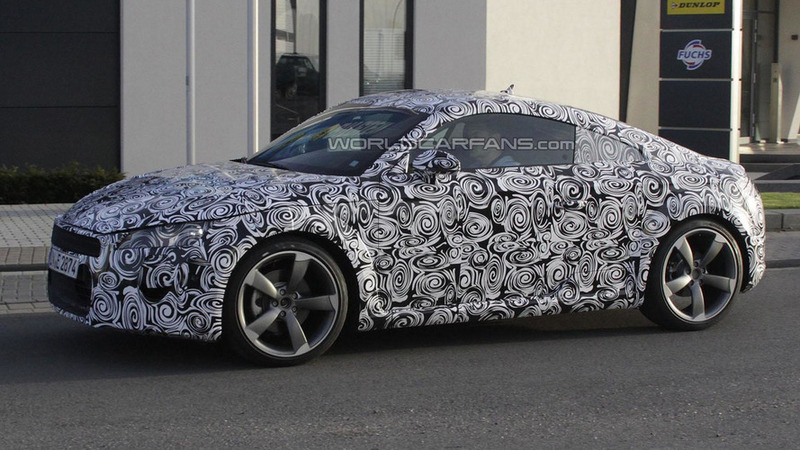 The Audi TT is starting to show its age and new details are starting to emerge about the next-generation model.